This iconic brand needs no introduction. 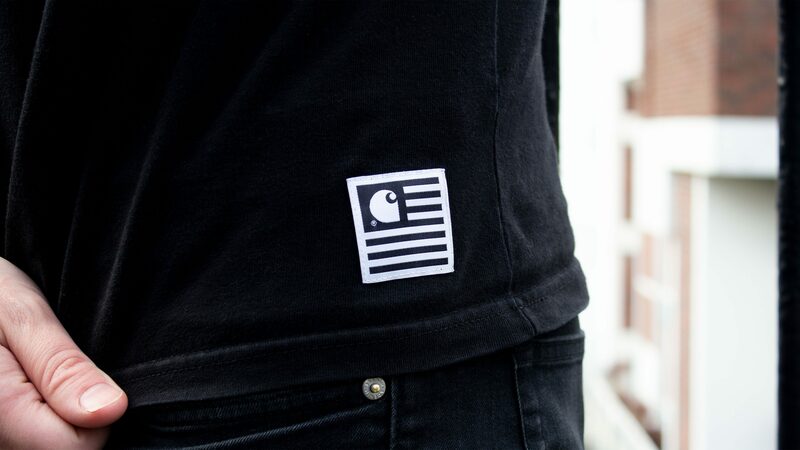 If you look around, you’ll see the ‘C’ logo on a beanie or stitched onto the back pocket of a pair of jeans. Originally designed as workwear for the construction industry, this hard wearing brand is built to last. Carhartt are a well-established brand, who have shown their versatility, and clearly know their voice and their target market, as well as know how to keep themselves relevant. Complacency isn’t in their lexicon: they continually reinvent themselves, whether it’s a Nike Air Force One collaboration or branching out to portable BBQ’s. The Carhartt marque is reminiscent of the Fibonacci sequence, or golden ratio, which, no matter how reworked it gets will always be recognisable. At the turn of the 20th century, the Carhartt logo was a train car inside a heart, literally a “Car in heart”, symbolising love for the railroad workers. Variations on the logo persisted until the 1960’s, eventually transforming into what we see today. Carhartt are a brand that is always pushing forward whilst never forgetting their roots; their strap-line ‘work in progress’ proves this by tipping their cap to their construction roots and stating that they are not finished working towards their end goal.